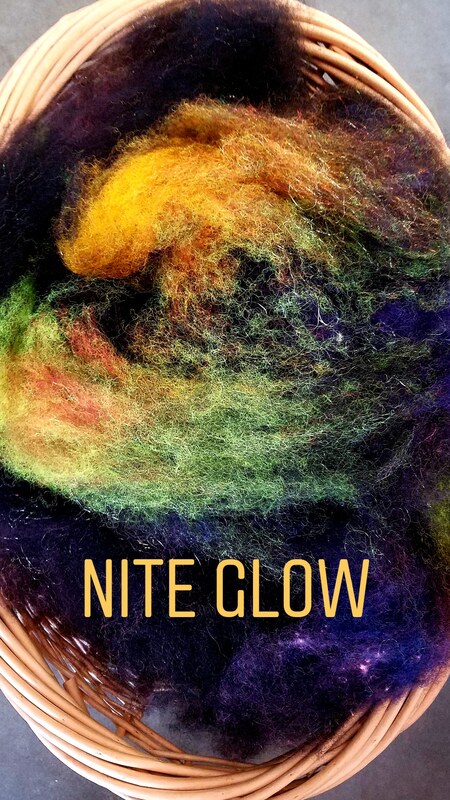 Nite Glow - Opalescence fiber blend for hand spinning, felting, arts and crafts, 4 oz. Shimmering rainbow colors set in a black night sky. 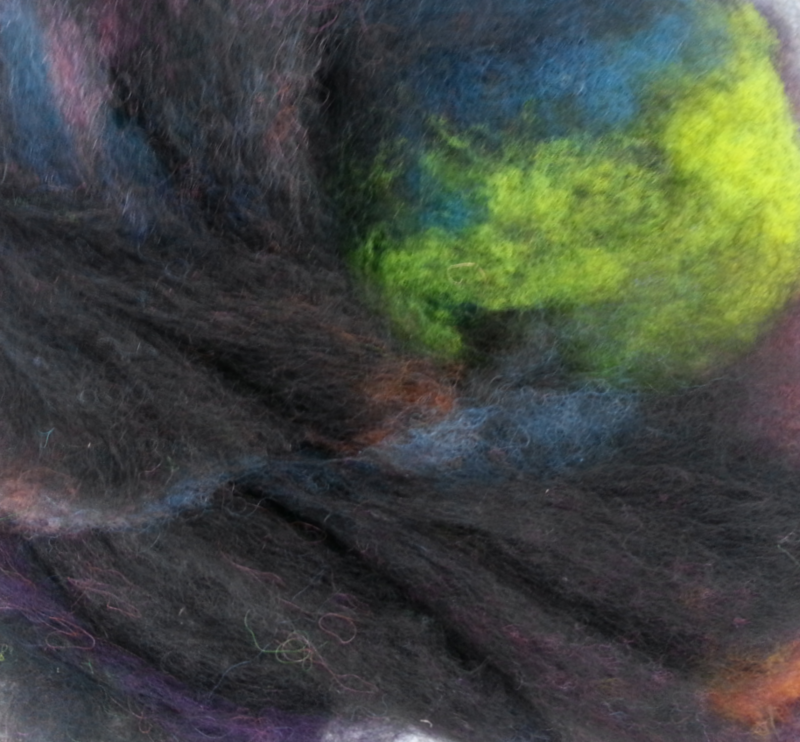 An aurora borealis for your spinning or felting experience! This listing is for 4 oz. of silky, carded, cloud preparation designed for spinning a beautiful art yarn. This blend is fully carded but has not been put into roving, which is the next step of the carding mill process. The colors are not homogeneously blended so there are color block areas. Long, healthy locks of Border Leicester wool, Merino wool, BFL, Mohair, Alpaca fiber, Firestar and Silk noil spins smooth and colorful. Spinners used to commercial combed top, which can be dense and require significant predrafting, will likely find this carded preparation easier to spin. The fibers are minimally processed (no carbonization or pin drafting) to help retain the unique characteristics of each fiber. The fiber blend is rainbow/black combination. The yarn and bobbins of yarn are included in the picture to show how the carded blend spins up and are not part of this sale. Please contact me if you are interested in a custom hand spun yarn order. 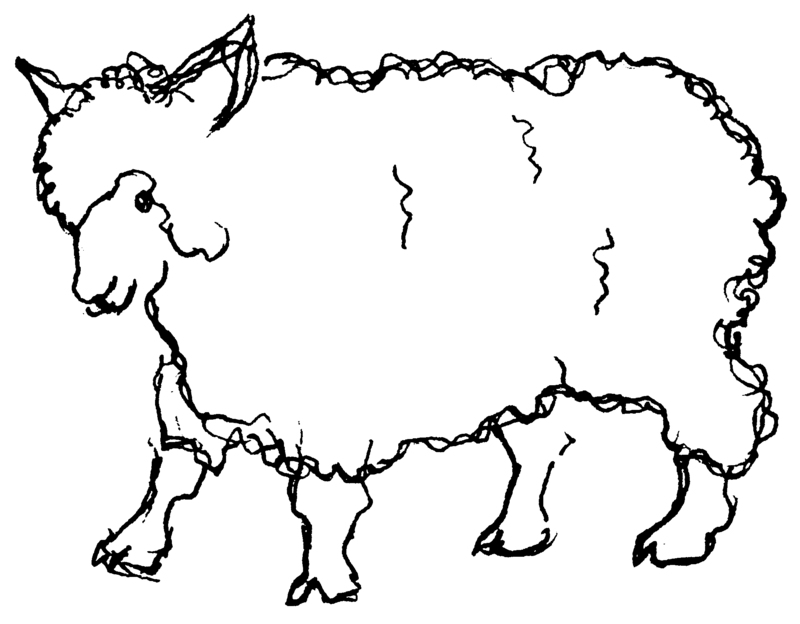 The animals whose fibers are in this blend were raised by shepherd's dedicated to the fiber arts and to their fiber animals. At Dakota Carding & Wool we pasture raise our sheep and goats and maintain a non medicated, healthy environment for our four-legged friends!